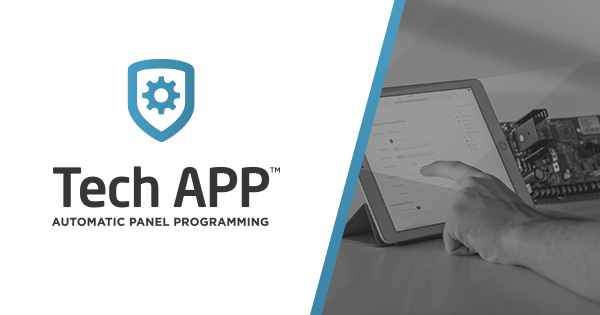 DMP’s Tech APP gives installers fast access to the information they need to accomplish more day-to-day tasks. 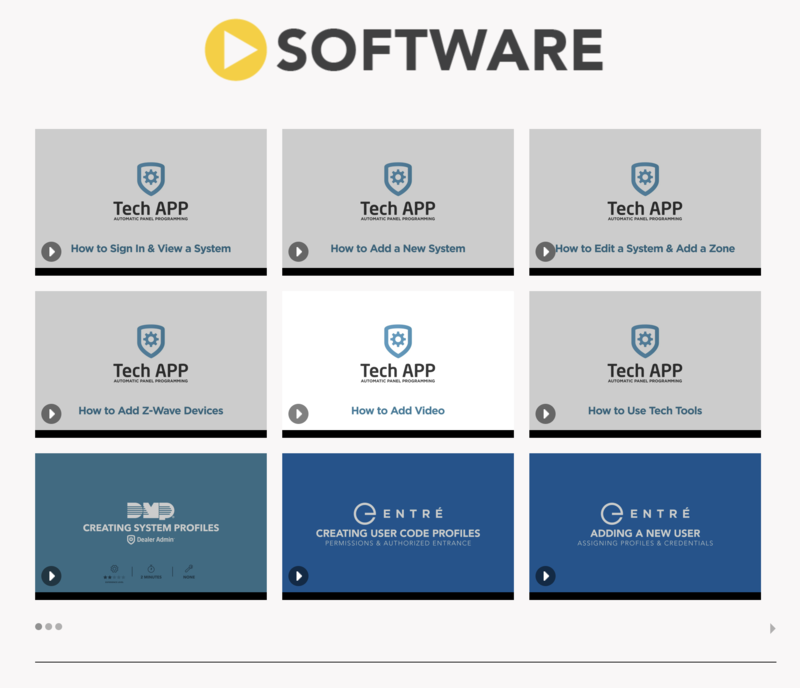 Now, we’re excited to offer an instructional video series on Tech APP’s many powerful features. 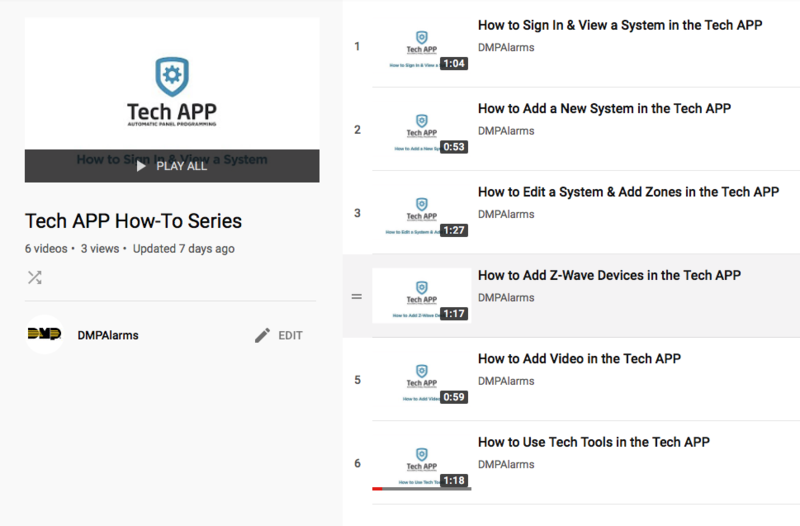 See below for direct links on how to add, edit or view a system, add zones, Z-Wave devices, video, and how to use Tech Tools. 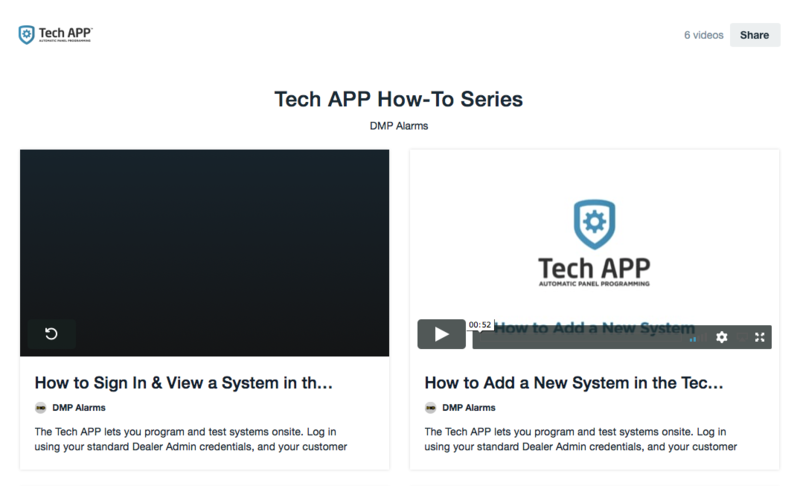 You can find these videos on DMP.com under Training > Tech Training Videos > Software. Click here to see this collection of videos. You can also find these videos on Vimeo or Youtube. To find more training resources, visit DMP.com/TechTrainingVideos or visit DMP University.